Trail bike impacts on bushwalking in the Darling Range, near Perth, Western Australia. Trail bike riding along the Helena River bed. None of the walks on WalkGPS is within a designated Off-Road Vehicle (ORV) area. Off-road trail bike riding is illegal across all the walk areas. The State Trail Bike Strategy of 2008 recognised the environmental and recreational challenges posed by off-road trail biking and the need for more opportunities for trail bike riding in the Perth region. Few suitable opportunities for legal off-road trail bike riding exist. Trail bike riders have increasingly resorted to illegal and apparently unconstrained riding throughout the state forests, parks and reserves, including the water catchments and Dieback Disease Risk areas. 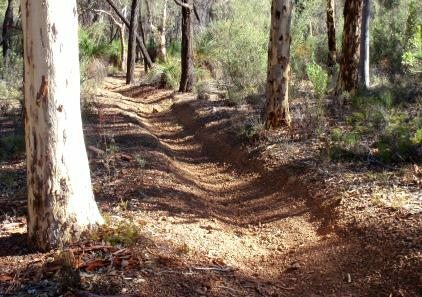 Direct impacts of off-road trail-biking on bushwalking includes noise (see video), trail damage, a proliferation of new deeply rutted and eroding tracks (often along water courses), destruction of vegetation, and reduced safety. The result is a loss of traditional bushwalking amenity in the region; Walkers increasingly avoid areas known to be most frequented by illegal riders. The Recreational Trailbike Riders Association (RTRA) in collaboration with DBCA has developed a new dedicated trail bike trail off Metro Road, south of Brookton Highway. This popular new 16km pilot trail has become a model for establishing future additional sustainable trails for off-road riders. Intending riders can obtain a map and GPX file for the trail from the RTRA site, plus a map indicating the proposed conservation park exclusion zones east of Metro Road (Flint and Gibbs areas). 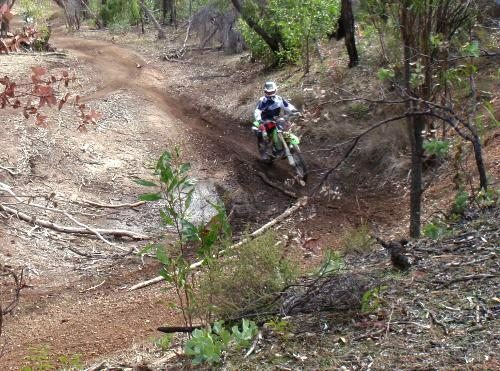 Also check out other opportunities for off-road riding such as at the Pinjar ORV area (also see Trails WA). Riders of bikes that are not road-registered are required to have ORV registration for riding at the Metro Road or Pinjar areas. Off-Road Vehicle Registration – Mandatory ORV registration for off-road trail bikes was recommended in the 2008 Strategy as another obvious step toward responsible off-road activity and controls. But the political will to fully implement the Strategy so far seems lacking. 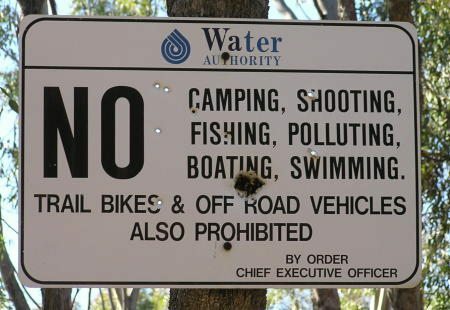 Leadership, planning & resources – Most of the parks in the Perth region also still lack approved management plans (see Parks under Walks & Parks), including the Wandoo National Park which is especially vulnerable to trail bike impacts. Politicians of all persuasions should observe for themselves this avoidable accelerating degradation of our forests and our wandoo woodlands; Then they would surely enact what’s needed in terms of legislation and resourcing to more adequately protect the state’s natural heritage.